The 2014 WA Mining Club Scholarship Awards Dinner with the Hon. 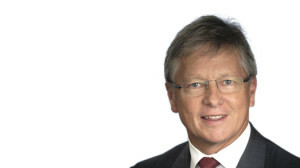 Bill Marmion MLA, Minister for Mines and Petroleum; Housing. The annual WA Mining Club Scholarship Program Awards Dinner celebrates the achievements of our Scholarship Program winners in an event that is enjoyed by industry leaders and mining students alike. The WA Mining Club Scholarship Program sets a positive agenda for the mining industry in WA. The Awards dinner hosts students and their families alongside CEO level industry representatives, and provides an ideal opportunity to network in a vibrant environment. The WA Mining Club Scholarship Program fosters the talent of bright and diligent students studying geology, environmental science, engineering and metallurgy at the University of Western Australia, Murdoch University, Curtin University, Edith Cowan University, The Central Institute of Technology and Curtin University’s Western Australian School of Mines. The Scholarship Program started with one scholarship in 2003 and has grown to seven with the launch of two new scholarships this year; our Indigenous Student in Environmental Sciences or a Technical Discipline in the Mining Sector Scholarship; and our Female Student in a Technical Discipline in the Mining Sector Scholarship. Scholarship winners are awarded $10,000 to assist with their education and development. Join us for the Scholarship Program 2014 Awards Dinner to celebrate the bright young minds that are the future of the WA mining industry.